I don’t know how this never occurred to me but the closest thing to a Porsche 959 from recent years is the Lexus LFA. Today I finally managed to get out a project I’d been working on for over a year now, detailing how the 959 took years longer to develop than Porsche ever imagined, a significantly more arduous (and sometimes enflamed) process than the company liked to advertise. It was sort of like the last gasp of old Porsche before it subscribed to the Toyota Method and really modernized. In the comments, reader daiheadjai recognized that this sounded familiar. 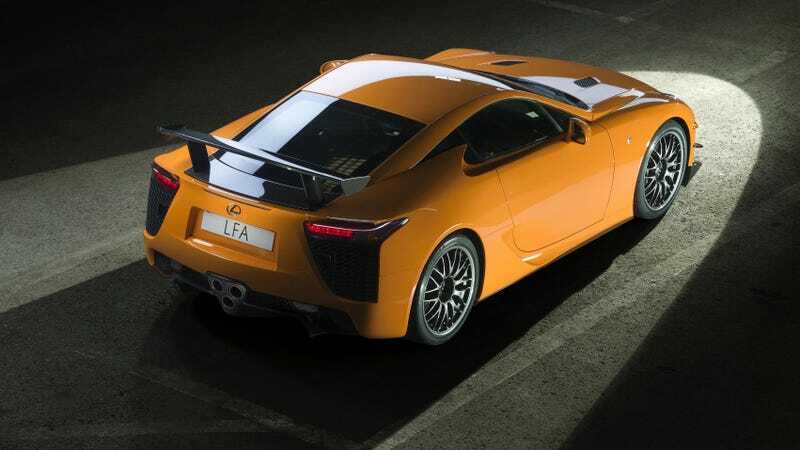 Long gestation... misunderstood supercar... that’s the Lexus LFA! This whole conversation is great, but I’ll also remind all y’all that the LFA got a total re-work halfway through its development to switch to carbon fiber construction, coming out years after it was supposed to, hilariously expensive, and not really grasped as a supercar (not unlike the 959) because of its front-engine layout (less like the 959 but still). I love the LFA. Maybe I love the 959 more than I’m ready to accept.